Suffering a car accident, workplace injury or medical negligence may be one of the worst experiences of someone's life. From the Rockford, Illinois, location of Clark Frost Williams Zucchi, we deliver compassionate representation to people who are at their most vulnerable. The team at our law office understands how overwhelming it is to face mounting medical bills while dealing with physical pain and emotional distress. Our goal is to take the burden off our clients so they only have one thing to focus on: recovery. Money cannot undo the damage our clients have suffered, but it does go a long way toward bringing peace of mind. The attorneys at our law office have returned more than $60 million to victims of incidents such as dog bites, slip-and-falls, defective devices and medical malpractice. We also excel at securing workers' compensation benefits, as well as advocating for families in wrongful death cases. 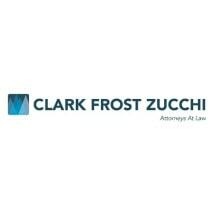 The team at Clark Frost Williams Zucchi holds a number of honors such as receiving the highest peer review rating possible of AV Preeminent* from Martindale-Hubbell and earning membership in the Million Dollar Advocates Forum. Outside the walls of our law office, we are dedicated to serving our local community. We volunteer our time and donate to a number of organizations that have a meaningful impact in our area. *AV®, AV Preeminent®, Martindale-Hubbell Distinguished and Martindale-Hubbell Notable are certification marks used under license in accordance with the Martindale-Hubbell certification procedures, standards and policies. Martindale-Hubbell® is the facilitator of a peer review rating process. Ratings reflect the anonymous opinions of members of the bar and the judiciary. Martindale-Hubbell® Peer Review RatingTM fall into two categories - legal ability and general ethical standards. Kevin Frost and Robert Clark are Life Members of the Million Dollar Advocates Forum. Kevin Frost is a Member of the Top 100 Trial Lawyers.